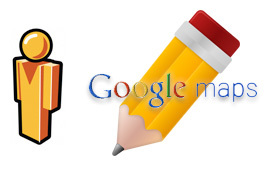 In May, Google had to close Map Maker because of all the abuse. Well, now Google is planning on reopening it next month. A post by Google's Pavithra Kanakarajan in the Google Map Maker Forums said the new Google Map Maker is opening in August. She said, "Map Maker will be reopened for editing in early August." But with that comes changes. Google will be relying more on the community to manage the edits, not Googlers. Why? Because Googlers were too slow to fix errors and vandalism in the maps. Map Maker will be reopened for editing in early August, and we’re looking for users to now have more influence over the outcome of edits in their specific countries. This means that edits on Map Maker will be increasingly made open for moderation by the community. While some edits will still require moderation by Google operators, our loyal users will recognize that this is a departure from how we have operated in the past where majority of your edits were reviewed by Google operators. This has been a request you’ve made for a very long time, and this change should, hopefully, come as good news. The reason for this change is that every time we observed someone attempting to vandalize the map, many of you acted quickly to remove the offending feature and demonstrated real ownership for maps within your region. We have come to the conclusion that of all the defenses available to keeping our maps clean, the interest of a community of well-intentioned users, is among the most reliable and fast. Google, at first, will reach out to select Map Maker users and ask them if they want to be "Regional Leads" in their region. That Regional Lead team will grow and grow as time goes on, so that they can expand the trusted team of users. For more details, see the Google Map Maker Forums. Forum discussion at Google Map Maker Forums and Local Search Forums.